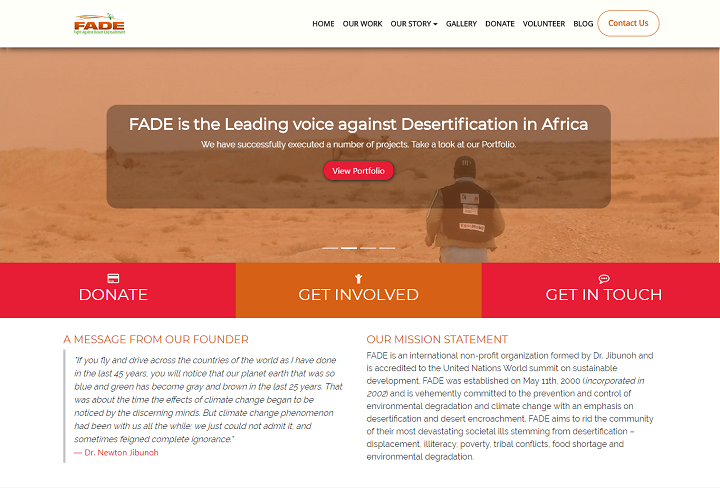 FADE Africa is an international non-profit organization vehemently committed to the prevention and control of environmental degradation and climate change with an emphasis on desertification and desert encroachment. 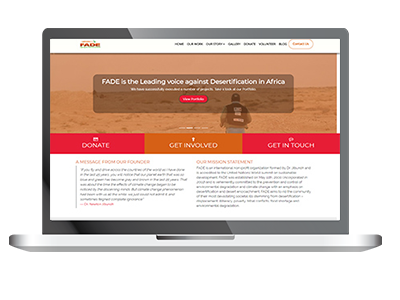 FADE Africa was established in 2002 and as part of their re-branding, they needed a website to reiterate their core values. 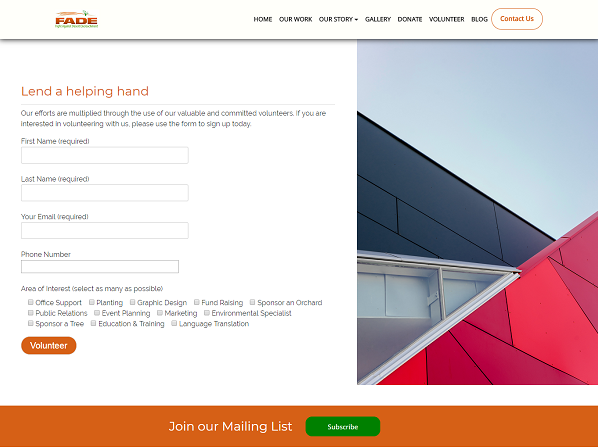 They wanted a functional design that will help communicate their message to their listeners better. 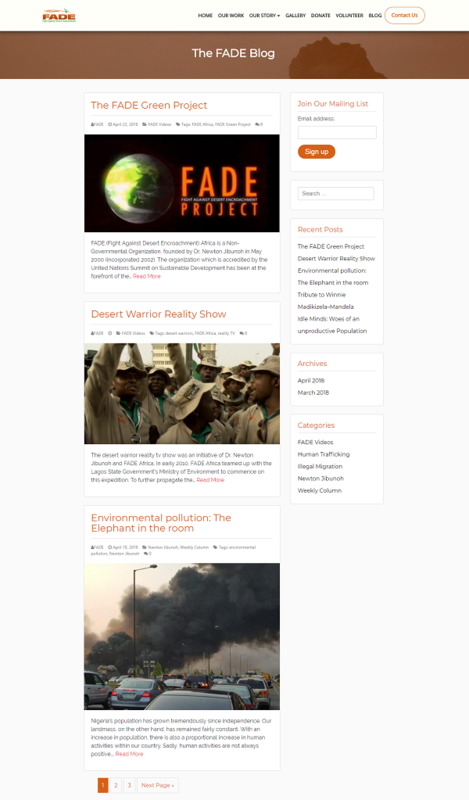 FADE also wanted to integrate a blog that can be updated internally to their website. We successfully implemented this and made sure their visitors can see the recent articles as soon as they visit the website. 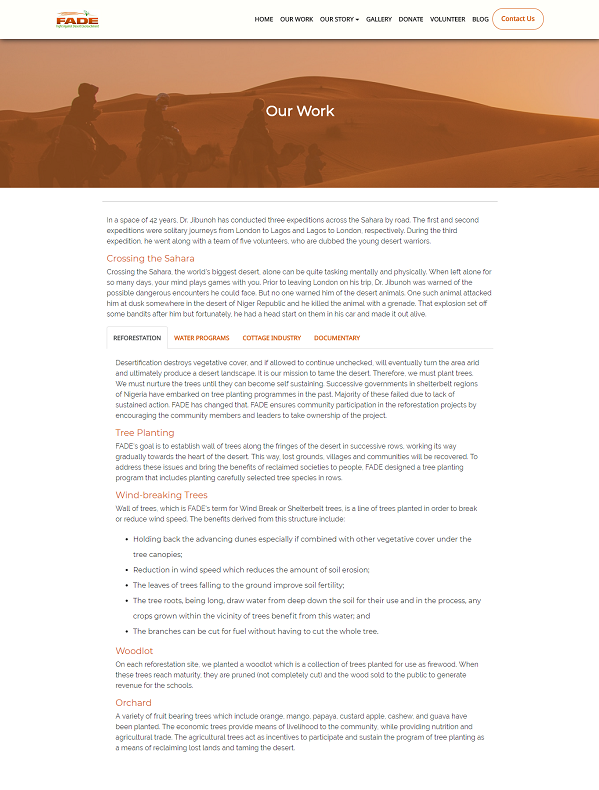 We also redesigned their pages, maintaining their color themes and making sure all their forms are functional.